MANILA, Philippines — The Philippine president said his threat to launch airstrikes against tribal schools because they allegedly teach subversion would apply only when the buildings are empty, a clarification that still raised concern he was advocating a war crime. President Rodrigo Duterte responded to a question in a news conference late Thursday that the bombings will be done at night and maintained that the schools were teaching students to become subversives and were operating without government permits. Still, Carlos Conde of the U.S.-based Human Rights Watch said Friday that bombing even unoccupied school buildings is still a violation of international humanitarian law and constitutes a war crime. "I didn't say that I'll bomb those if there are people, so I asked them to go away from there, meaning I'll destroy those because you are using a school without a license," Duterte said. "I didn't say I'll kill the children. Far from it actually. I'll free the children from perdition because they'll learn to be like you." "I have every reason to stop it because you are producing another generation of haters," he said. "Don't fool me. You teach nothing there but socialism and killings." In a news conference late Monday after delivering his annual state of the nation address, Duterte condemned the insurgents for destroying bridges and torching schools in the countryside. But he said the rebels were sparing Lumad or indigenous schools, which he alleged were operating under guerrilla control without permits from the government's education department. "Get out of there, I'm telling the Lumads now. I'll have those bombed, including your structures," Duterte said then. "I will use the armed forces, the Philippine air force. I'll really have those bombed ... because you are operating illegally and you are teaching the children to rebel against government." 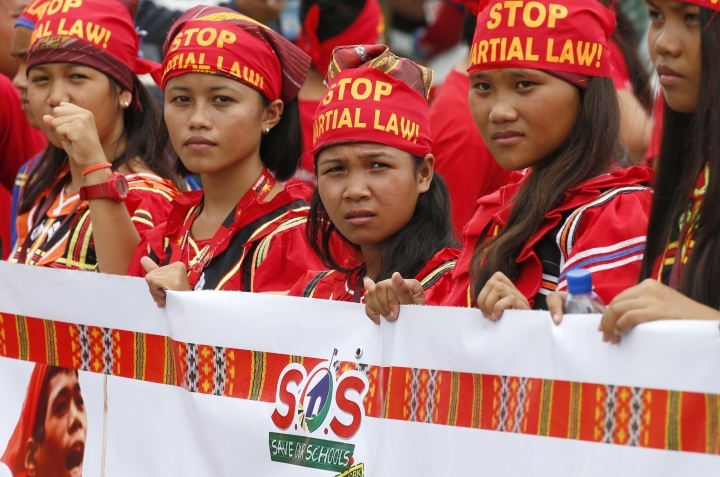 Activists have expressed concern that government troops may use Duterte's threat as a pretext to attack Lumad schools and communities, which they say are also threatened by the security forces of big mining companies because of the Lumads' resistance to mining. The non-governmental Save Our Schools Network has tallied at least 68 military attacks affecting 89 Lumad schools since last July. Military spokesman Brig. Gen. Restituto Padilla denied soldiers were behind the attacks and said troops have gone to tribal communities to secure them and allow government-recognized schools to be established. 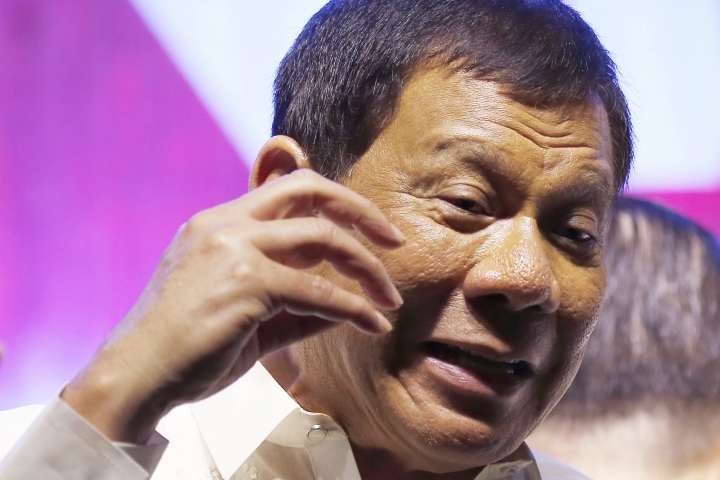 Human Rights Watch and Manila-based activists said that by calling for an attack on schools, Duterte is directing the military to commit war crimes. Conde urged Duterte to sign the 2015 Safe Schools Declaration, which commits governments to supporting the protection of students, teachers and schools in times of armed conflict.